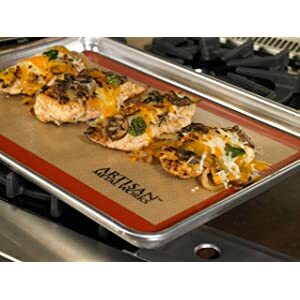 These silicone baking mats are ideal for the half-sized aluminum sheet pan. 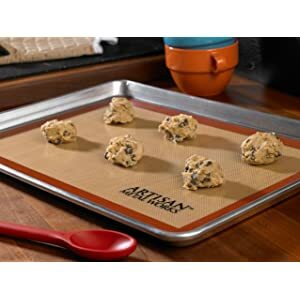 These baking mats are FDA approved, and LFGB approved and give your sheet pans a non-stick surface for delicate or messy baking projects. They also clean up quickly and easily. Just clean up with soap and water and allow to air dry. 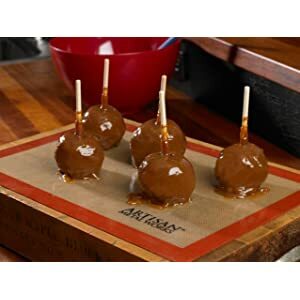 These can also be used on the countertop for all types of dough. 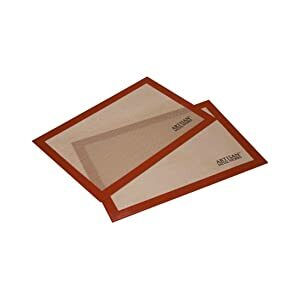 The mats will not absorb food orders or flavors and are perfect for the avid baker or the seasonal holiday cook.